Akbar has come under the scanner after several of his former colleagues accused him of sexual misconduct when he held senior editorial positions in a number of media organisations. 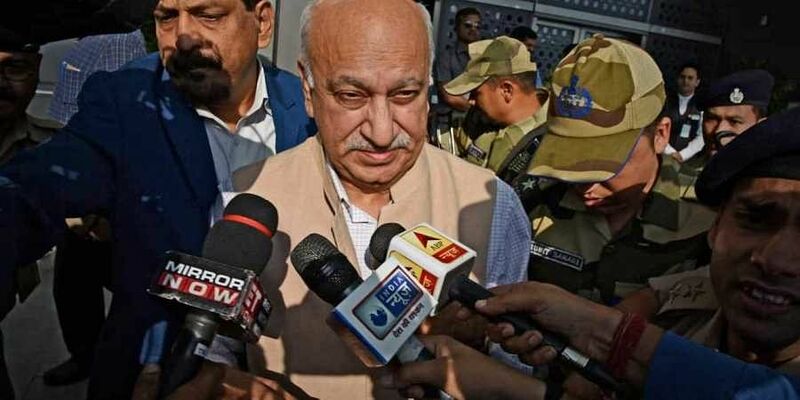 NEW DELHI: Minister of State (MoS) for External Affairs MJ Akbar, who arrived in India on early Sunday morning refrained from speaking on sexual misconduct allegations levelled against him while saying that he will issue a statement on the matter later on. On being asked about the allegations, Akbar said, "There will be a statement later on." He was on an official visit to Nigeria. Akbar has come under the scanner after several of his former colleagues accused him of sexual misconduct when he held senior editorial positions in a number of media organisations. This came in the wake of #MeToo movement. Soon after these allegations, many in the opposition demanded minister's resignation. According to a source, senior ministers, in off-record conversations, had earlier indicated that Akbar will have to step down once he returns to India as his position in the government is untenable. However, a consensus has reportedly not been achieved among the Bharatiya Janata Party (BJP) members on whether a MoS can be ousted merely on the basis of allegations.